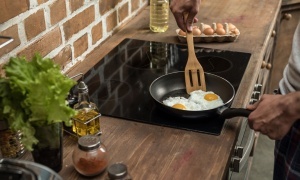 Top hob brands for 2019 - Which? Use unique Which? reliability and customer satisfaction data to choose a hob that lasts. 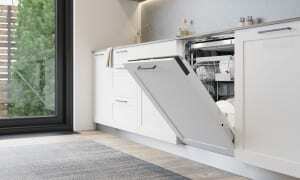 We've asked owners of hobs from AEG, Bosch, Ikea, Miele and more, which brands they would recommend and which develop the fewest faults over time. 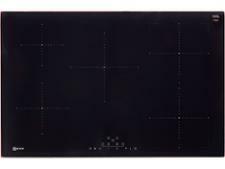 Which hob brand stays fault-free for longest? The most common reliability issue that people encounter with their hobs is the gas ignition not working properly. In fact, our research indicates that this accounts for around 25% of faults. Knowing which brands develop the most faults, and how quickly they appear, is an important part of the buying decision. That’s why each year we ask thousands of Which? members to tell us whether they are happy, or have experienced problems, with their cooking appliances in our unique reliability and customer satisfaction survey. This year, we heard from 2,781 hob owners. Our analysis takes into account the reported fault rates, the severity of these faults and the speed with which they occurred. We've looked at the performance of the biggest hob manufacturers – including AEG, Bosch, Neff and Zanussi – and have calculated a reliability rating and customer score for each so you know which brands to choose, and which to avoid. As you can see, there's a big difference between the most and least reliable hob brands, and the satisfaction score reported by customers. The table below summarises this year’s reliability results. Brands are ranked by their customer score, which relates to whether their customers would recommend that brand. The higher the percentage score for reliability, the fewer problems were reported by owners. Only logged-in Which? members can see which brands achieved the ratings and verdicts in the table below. If you're not yet a member, join Which? to get instant access. The above data is based on a survey conducted with 2,781 Which? members in Sep-Oct 2018. By far the most common hob problem that people experience (25% of those who reported a fault) is something going wrong with gas hob ignition – or it simply stopping working at all. 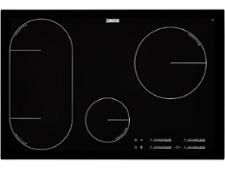 It's only an issue if you own a gas hob but, despite the surge in popularity of induction hobs, about half of Which? 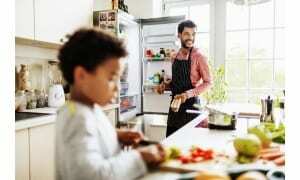 members still like to cook on gas. The next most common issue with hobs is one or more cooking zones not working (12% of reported problems), while dodgy dials and controls come next on the list (11%). Owners of hobs from our worst-rated manufacturer reported that 11% of its appliances developed faults within a year, while about 20% of its appliances experienced a problem within just three years of ownership. 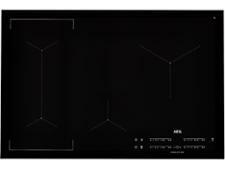 Only 2% of hobs from one of our three top brands developed faults in the first year of use. The graph above shows how the brand that stays fault-free for longest compares with the worst brand and the overall average. Which? members can see how brands compare for faults over a five-year period in the table below. Only logged-in Which? members can see the brands that stay fault-free for longest in the table below. If you're not yet a member, join Which? to get instant access. Results based on feedback from more than 2,700 hob owners, surveyed in Sep/Oct 2018. Minor A fault that doesn't affect the product's performance significantly or a fault that only occurs occasionally with minimal impact. This issue may be irritating or annoying but it isn't frequently problematic and you can easily work around it. For example, a hob's indicator light not working. Major A fault that has a noticeable effect on the product’s performance. This fault affects how you use the product and can be problematic. This could include a cooking zone not working or touch controls becoming less responsive. Catastrophic A fault that renders the product unusable, with the fault needing to be repaired or parts replaced before it can be used again. For example, a cracked surface or complete loss of function of knobs or dials. Table notes Average test score based on results of models tested in the past three years (as of 1 December 2018). The customer score and brand reliability rating are based on a Which? member survey conducted in October 2018 of 779 Neff hob owners. The customer score is based on whether members would recommend the brand to a friend, and reliability is based on members’ experience of that brand. Table last updated 10 December 2018. Find out whether there are any problems specific to Neff hobs that customers experience more often, such as faulty controls or a cooking zone that stops working. Discover how likely Neff hob owners are to buy from the company again in the future, and whether they'd recommend the brand. Only logged in Which? members can view our exclusive reliability ratings and verdicts. If you're not yet a member, Join Which? to get instant access. Table notes Average test score based on results of models tested in the past three years (as of 1 December 2018). The customer score and brand reliability rating are based on a Which? member survey conducted in October 2018 of 421 Bosch hob owners. The customer score is based on whether members would recommend the brand to a friend, and reliability is based on members’ experience of that brand. Table last updated 10 December 2018. Find out whether there are any problems specific to Bosch hobs that customers experience more often, such as faulty controls or a cooking zone that stops working. Discover how likely Bosch hob owners are to buy from the company again in the future, and whether they'd recommend the brand. Table notes Average test score based on results of models tested in the past three years (as of 1 December 2018). The customer score and brand reliability rating are based on a Which? member survey conducted in October 2018 of 296 AEG hob owners. The customer score is based on whether members would recommend the brand to a friend, and reliability is based on members’ experience of that brand. Table last updated 10 December 2018. Find out whether there are any problems specific to AEG hobs that customers experience more often, such as faulty controls or a cooking zone that stops working. Discover how likely AEG hob owners are to buy from the company again in the future, and whether they'd recommend the brand. Table notes Average test score based on results of models tested in the past three years (as of 1 December 2018). The customer score and brand reliability rating are based on a Which? member survey conducted in October 2018 of 112 Hotpoint hob owners. The customer score is based on whether members would recommend the brand to a friend, and reliability is based on members’ experience of that brand. Table last updated 10 December 2018. Find out whether there are any problems specific to Hotpoint hobs that customers experience more often, such as faulty controls or a cooking zone that stops working. Discover how likely Hotpoint hob owners are to buy from the company again in the future, and whether they'd recommend the brand. Table notes Average test score based on results of models tested in the past three years (as of 1 December 2018). The customer score and brand reliability rating are based on a Which? member survey conducted in October 2018 of 119 Zanussi hob owners. The customer score is based on whether members would recommend the brand to a friend, and reliability is based on members’ experience of that brand. Table last updated 10 December 2018. Find out whether there are any problems specific to Zanussi hobs that customers experience more often, such as faulty controls or a cooking zone that stops working. Discover how likely Zanussi hob owners are to buy from the company again in the future, and whether they'd recommend the brand. Which? 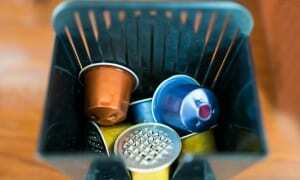 has a wealth of information on Britain's favourite kitchen appliance brands. Every year we ask Which? members to tell us about the household appliances they own, revealing how likely they would be to recommend a brand and how reliable the products are when they get them home. This year, nearly 10,000 Which? members told us about more than 35,000 appliances. We calculate a brand's reliability and its customer score based on the results of our annual survey. Our reliability surveys, combined with our extensive lab tests, mean we can recommend the best hob you should buy.